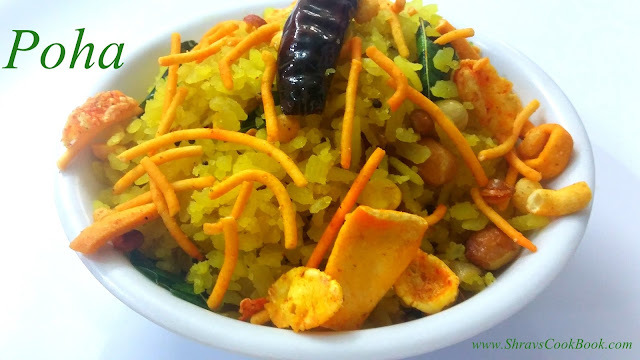 Atukula Upma Andhra Style is a popular south indian breakfast recipe. 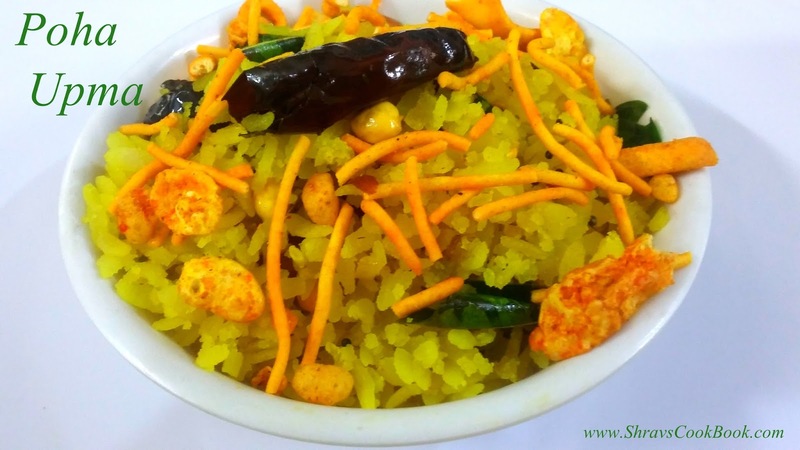 It is called as atukula upma in telugu, Poha Upma in north india, Aval Upma in Tamilnadu etc. This Poha Upma is made using flattened (beaten) rice. This is an easy and quick recipe which can be prepared in just a jiffy. So it is very helpful for bachelors or working women who usually prefer easy, quick and less time consuming recipes. You can add carrots, green peas, potatoes to make this recipe even more nutritious. You can squeeze a dash of lime which gives a light tangy taste and makes this recipe more interesting. I usually prepare this atukula upma in my breakfast. You can serve this as an evening snack too along with chai. 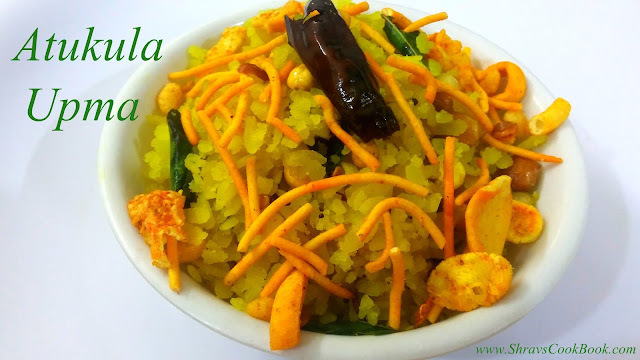 Atukula Upma can be served plain or with any pickle of your choice. I usually serve it with Mamidikaya Pachadi or Tomato Pachadi. Now with out any delay let us jump in and learn how to make atukula upma. serve it by topping with some sev. 1. You can also add potato chunks while frying onion pieces in this recipe, which enhances the taste further. 2. Poha is available is 3 varieties in the market i.e. thick, thin and medium poha. To make this Atukula Upma always use Thick Poha only. 3. Another most important point while making this recipe is, always wash poha gently, don't press or squeeze it much while washing, also do drain the water used for washing poha completely as this can make poha soggy. 4. After washing and draining poha, resting it for 5 minutes is mandatory as this helps atukulu to become soft and fluffy.